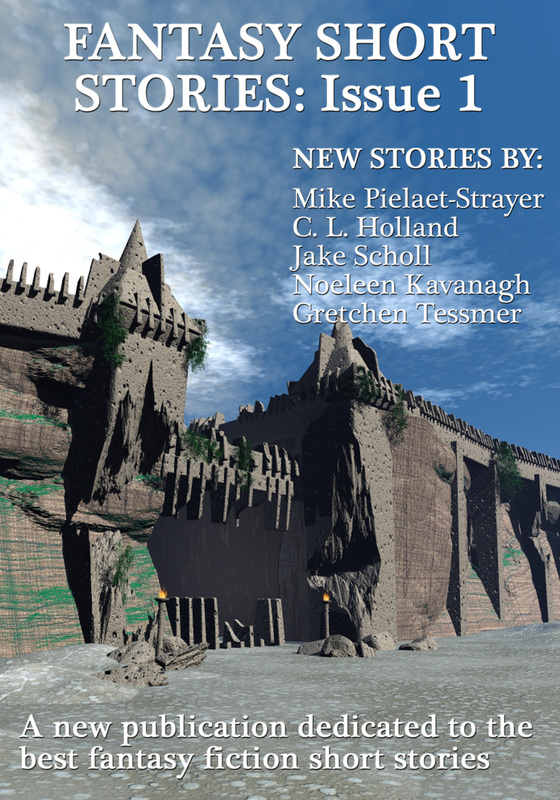 publication called Fantasy Short Stories. The first issue of which is now available. Hope you enjoy it! I think we’ve got an excellent selection of stories available for you here, so please do take a look. To get hold of a copy please see the links at the end of this post – at the moment just available from Smashwords and Amazon, but once the distribution channels kick-in it will be available for your Nook or iPad, iPhone, and via a variety of other eBook retailers. ‘The Dying Elf’ by Mike Pielaet-Strayer: Oberon the swordsman watches a young elf die on the battlefield and tries to come to grips with his own humanity. ‘The Empty Dark’ by C. L. Holland: Korix and Leveri are far from home, farther than either of them could have imagined. As they search for a way back they discover it’s not only children who should be afraid of the dark. ‘Demon Stone’ by Jake Scholl: when his kingdom and his wife are held ransom by an evil sorcerer, King Dagr goes on a quest to give the sorcerer what he wants. At what cost is Dagr willing to go to save his kingdom? Noeleen Kavanagh’s ‘The Pivot’: two boys who are thrown together in a chance encounter that turns their world upside down. ‘Sparrows Falling’ by Gretchen Tessmer: a black sorcerer and a foreign enchantress practise their arts in a castle on the borderlands. But when the lady locks herself in her tower, even the servants know something’s amiss in Grendl Castle. Soon Fantasy Short Stories Issue 1 also be available from a variety of other retailers such as Barnes & Noble and Apple – stay tuned for more information!